The modern Trans-Canada Highway crosses the country in a very business-like fashion. A heritage-minded traveller will probably find it more satisfying to use other routes. One of these is Highway 26, which runs alongside the Assiniboine River, from Winnipeg to Portage la Prairie through such towns as St. Francois Xavier and Poplar Point. There are many historical markers which provide a guide to the rich heritage of the settlements, as well as a capsule history of this part of the province. To begin, take No. 1 Highway through Headingly. On the north side of the highway stands Holy Trinity Anglican Church. Although it is not on its original riverbank site, the building is of log construction and dates from 1885. The tower has been replaced in modern times. A short drive down Bridge Road towards the river brings you to a farm road on the east side which is marked by a plaque honouring a pioneer, the Honourable John Taylor, who represented the district at the convention of 1869, in the provisional government of 1870, and in the Manitoba Legislature. He became Minister of Agriculture in 1879. His family still owns the property. Return to the highway and continue west, keeping watch on the north side for the cairn marking the Prime Meridian. This is the base line from which the survey of the whole of Western Manitoba begins. The orderly division of the vast prairie is measured out in square miles. Only in the older settlements does the system of river lots prevail. This includes the whole of Highway 26 from Winnipeg to Portage which was settled before Manitoba joined confederation in 1870. Along the Assiniboine the lots are designated by number within the original parishes. Shortly after you pass the survey cairn you are directed to Saint Francois Xavier and the turn-off to Highway 26. One of the most distinctive historical site markers in Manitoba is located at this junction. 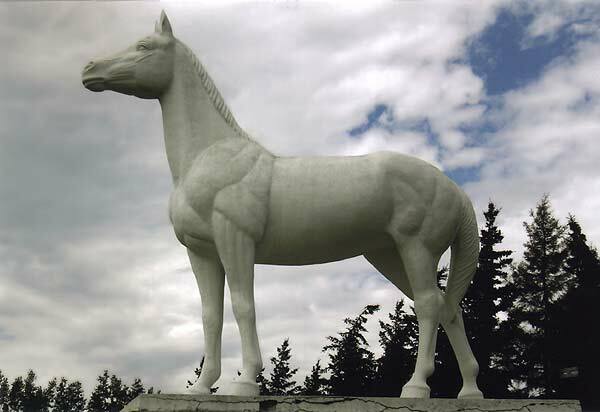 The striking white horse catches your attention and the plaque gives you the legend of Indian warfare, tragic love and a ghostly white horse roaming the plain. The history of the community of Saint Francois Xavier begins with the Red River Settlement and an important personality, Cuthbert Grant. After the amalgamation of the two fur trading companies in 1821, Sir George Simpson saw the importance of Grant as a leader of the Métis people. When the boundary of Canada was established along the 49th parallel a number of Métis trading communities were isolated south of the new line. Grant was charged by the HBC with initiating the move to set up a new settlement on the White Horse Plain. 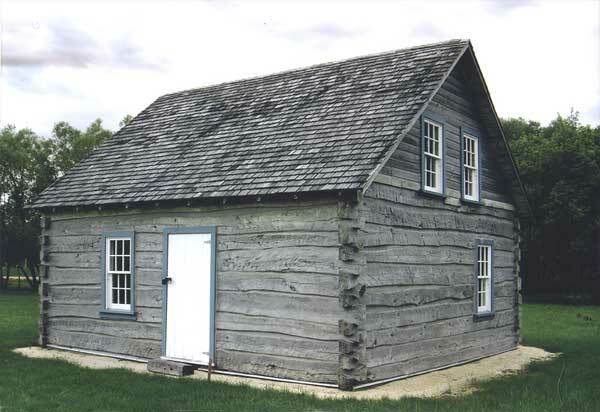 Grant treated this as his seigneury and provided a mill and other facilities for these settlers. To augment the produce from the farms these people continued to follow the buffalo hunt and for many years Grant was elected Captain of the Hunt. The Provincial plaques commemorating Cuthbert Grant stand in front of the Community Hall as you drive into the village. In the beginning the community was a mission of St. Boniface. It became a parish in 1833, the second Roman Catholic Parish in Manitoba. In 1850 two sisters of the Grey Nuns moved to the area and began the convent school which continued until 1970. A monument in their honour stands in the churchyard beside the old convent which is now an apartment building. A quiet browse amongst the graves provides memories of the province’s earliest times. The people of the area have recently formed a local historical society and are beginning work on a heritage park and museum. The log building which will provide the focus for the park was donated by members of the Breland family, descendants of the brother of Pascal Breland. 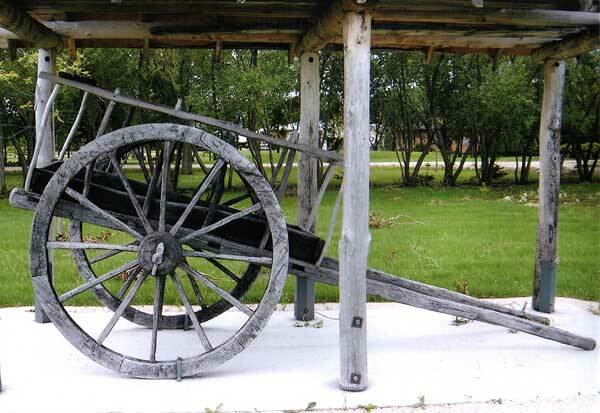 The red river cart beside the house is a hand-crafted replica and emphasizes the significance of the cart to the community which was the largest centre of their manufacture. Plaques recently erected in the museum grounds commemorate Pascal Breland and Pierre Falcon. Across the road the McCaughan family have commemorated their pioneer heritage with a monument recognizing the centenary of their farm. Continuing the drive through the pleasant farm land you come to the parish of Baie St. Paul. At the junction of Highway 26 and the Marquette road you see the markers of the old cemetery and in the centre of the plot stands the memorial to Father Belcourt, founder of the mission. From this spot the “Mission Trail” struck out for Oak Point on the shore of Lake Manitoba. When the Canadian Pacific Railway came through Reaburn, fish caught in Lake Manitoba were freighted down the trail to the rail point. The trail was active for about 20 years until the rail line was built through Warren to Lundar in 1903-4. The land designated as trail remained exempt from taxes until 1943. The river was crossed by many ferries in this area, four in St. Francois Xavier and three in Baie St. Paul. One from each of these centres operated until 1950 and the last one ceased on the opening of the Baie St. Paul bridge in 1954. 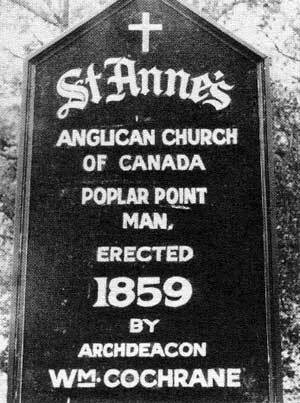 The next parish, St. Anne’s Poplar Point, is an Anglican one. In the early 1850s Reverend William Cockran, sponsored by the Church Missionary Society, established a settlement and church community at Portage la Prairie, naming it St. Mary’s. The farms along the river became popular and river lots began to fill up between Headingly and Portage. East of Portage two Anglican churches were built by the local people themselves over a period of years. These were St. Margaret’s, High Bluff, and St. Anne’s, Poplar Point. The old log church surrounded by a graveyard still stands at Poplar Point near the river. The logs, laid down in the Red River frame construction, are covered with clapboard on the outside and plaster in the interior. 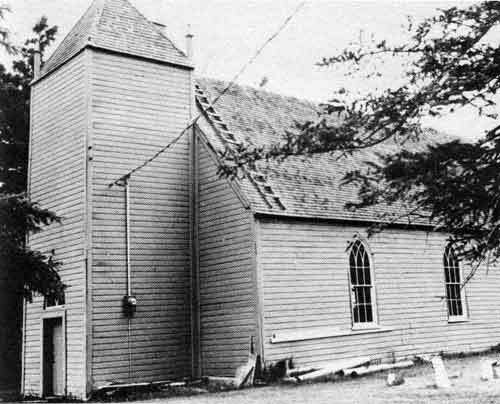 After working for three winters the settlers completed the church in 1864. The bell was brought down from York Factory where it had been used as the public timepiece. Of particular interest is the hand carving around the top of the chancel and on most of the interior fixtures in the church. The overall appearance of the church has changed little over the years with only the installation of electric light and a more modern heating system. The local congregation uses the old church in the summer and meets in the Parish Hall in the village in the winter months. Since the original churches at High Bluff and Portage la Prairie are no longer in existence, we will leave our tour at this point. You can go south and speed back into the city at 100 km per hour, or journey back along another pleasant country road. It is hoped that a full tour of Portage la Prairie will be presented in a future issue. More detailed references could be made to the community history of St. Francois-Xavier, and to Cuthbert Grant of Grantown by Margaret Arnett MacLeod and W. L. Morton. Younger readers will likely appreciate Cuthbert Grant and the Metis by D. Bruce Sealey. Many thanks to John Schellenberg of the St. Francois-Xavier Historical Society for his help.